Fate has played a cruel trick on three young women. 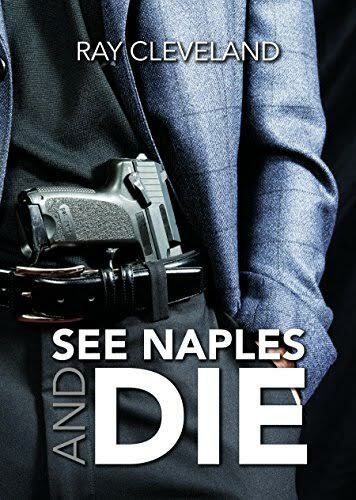 In the wrong place at the wrong time, they are now pursued by rival mafia clans, a crooked cop and a network of assassins. The evil that is Zico Scarpone casts a long shadow and terror reigns beneath its gloom. Zico wants the world and mayhem and murder are his weapons of choice. The powerful web of control that his 'immortals' are creating is set to change the structure of crime itself, with both the lawless and the lawful under his spell. In a twisting trail of treachery, intrigue and execution the girls quickly learn to trust no-one. Each new event only serves to push them further into isolation; until with new-found cunning and strength, the worm turns and they draw their tormentors together in a final explosive conclusion. A thrilling story, with humour and suspense - in equal measure - this is action writing at its very best.